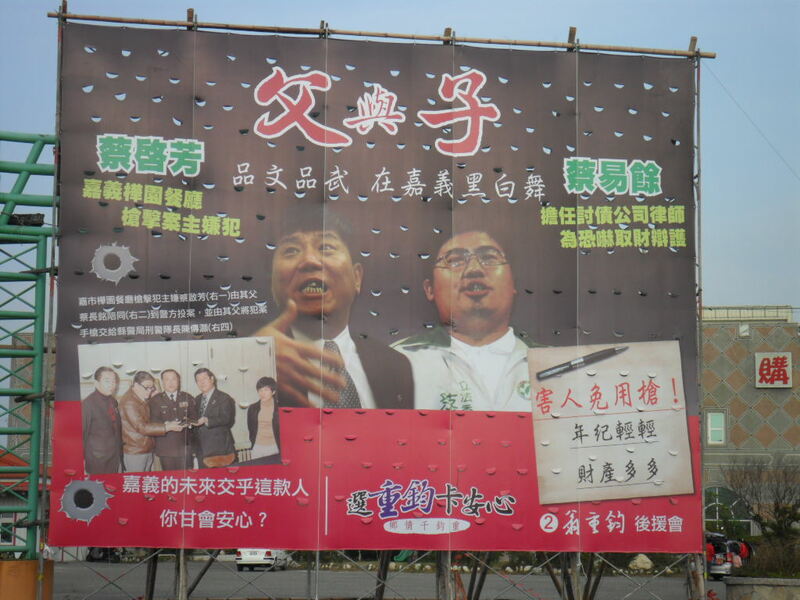 Last weekend we drove through the coastal areas of Chiayi County, and the legislative race there looks intense. 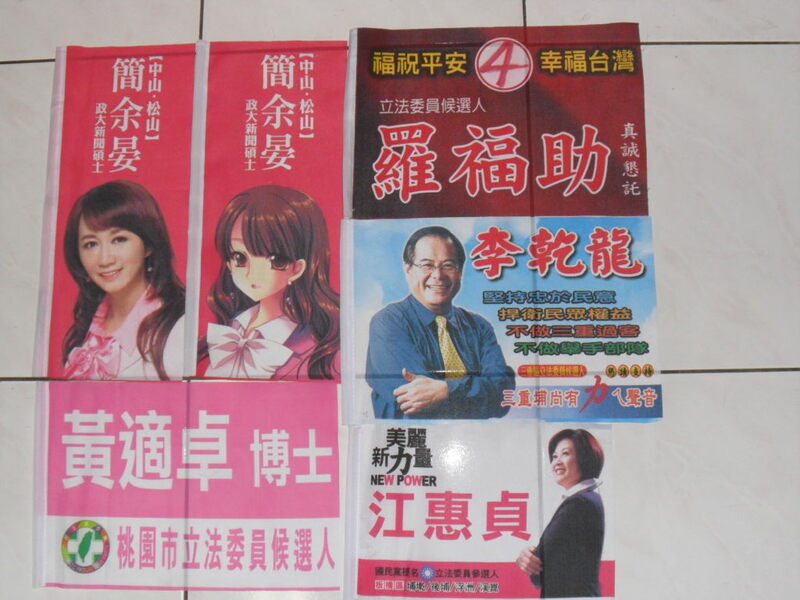 Four years ago, Weng Chung-chun 翁重鈞 (KMT) beat Tsai Chi-fang 蔡啟芳 (DPP) by a margin of 57.5-42.5. This year is essentially a rematch. 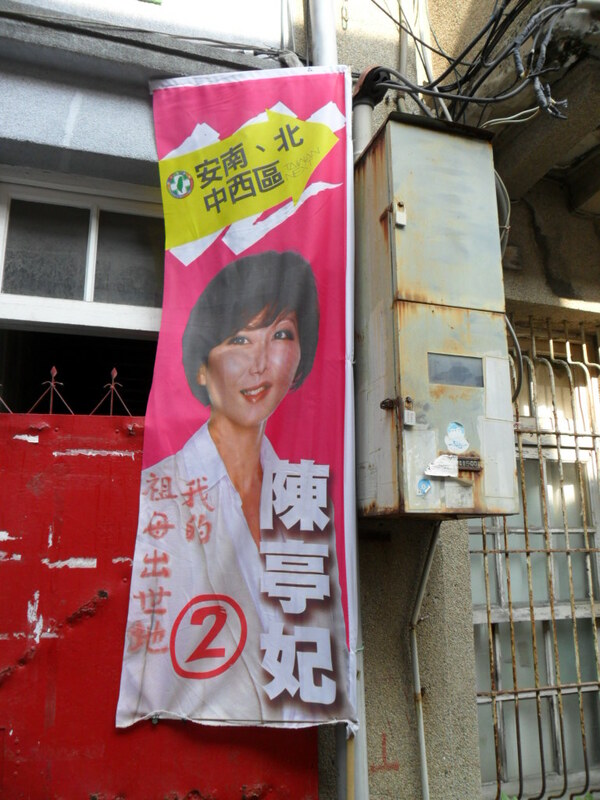 Weng is running for re-election against Tsai’s son, Tsai Yi-yu 蔡易餘. 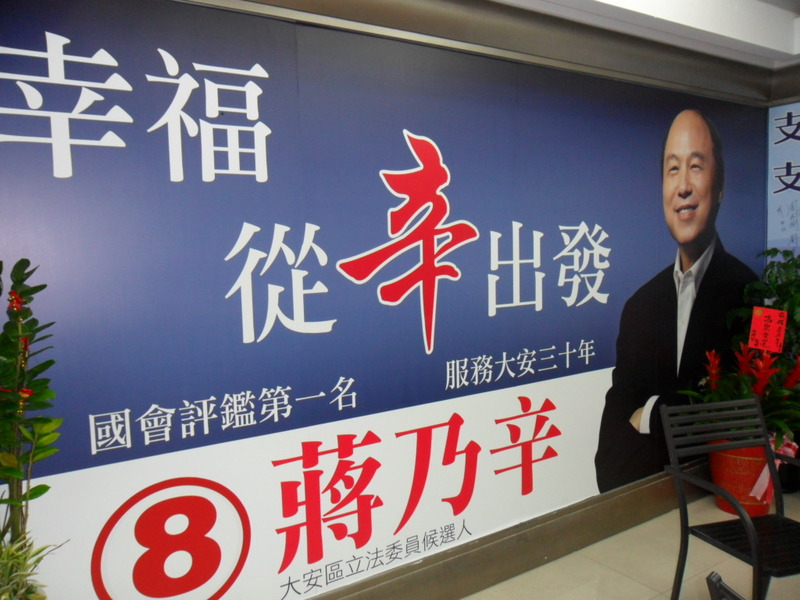 This district is also interesting because it is one of many in which a KMT incumbent with deep roots is trying to survive in a district that will probably give a substantial majority to the DPP presidential candidate. 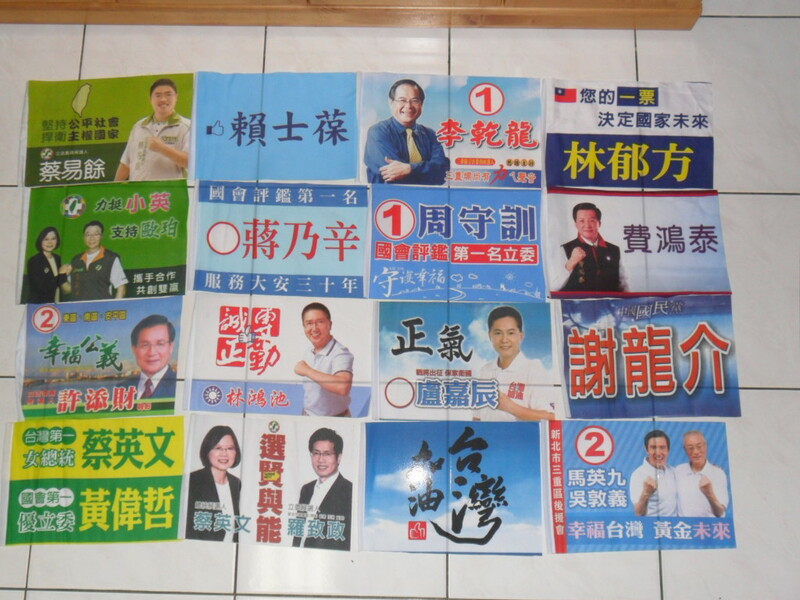 If the DPP is going to win or even come close in the legislature, it has to take districts like this away from the KMT. How green is this district? 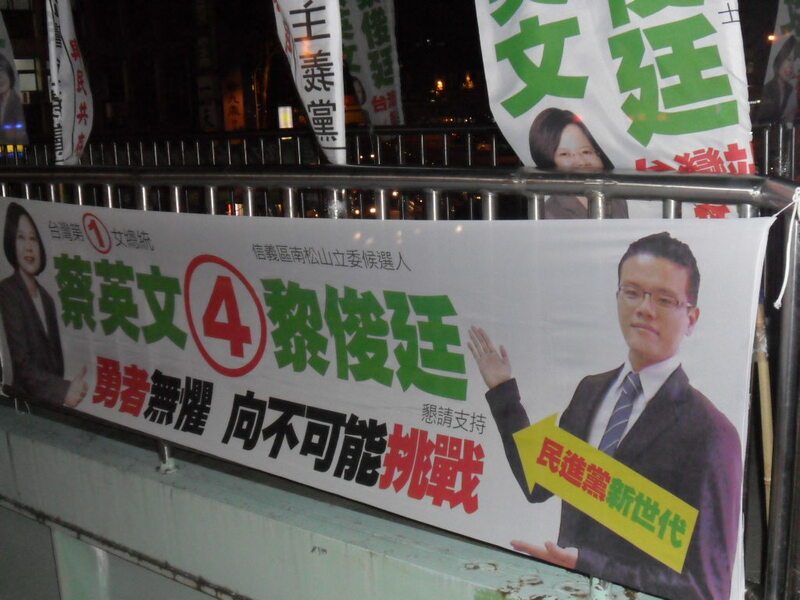 Consider that four years ago in the presidential election, Frank Hsieh (DPP) won 55.3% here. In other words, Weng ran a staggering 12.8% better than Ma Ying-jeou. 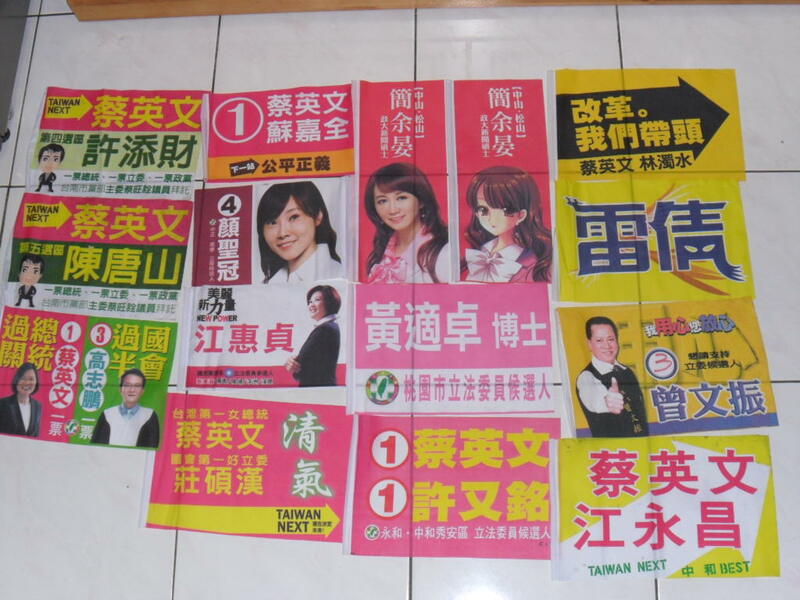 However, Tsai Ing-wen will almost certainly do significantly better than Hsieh. Weng might need to run a full 13% ahead of Ma again, and there is a chance that even that might not be enough. 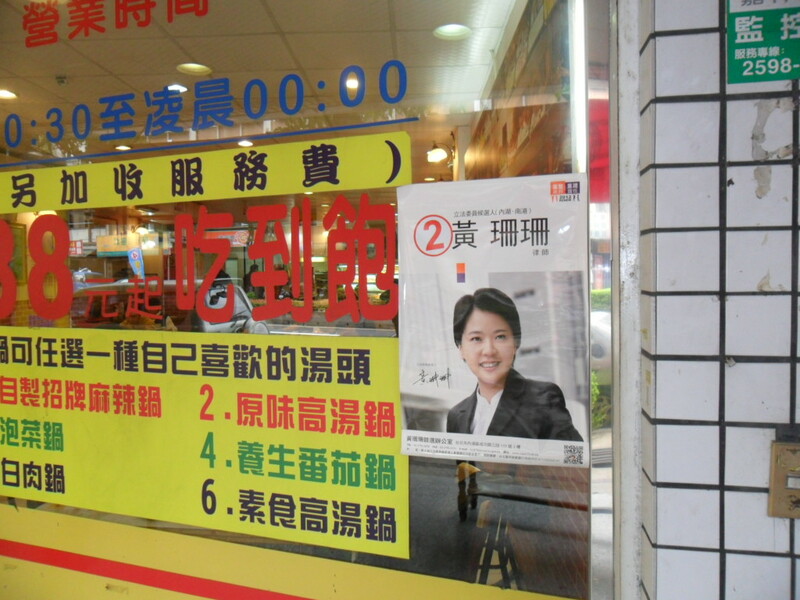 If the DPP can pull Tsai Yi-yu up closer to Tsai Ing-wen, it has an excellent chance of winning this district. 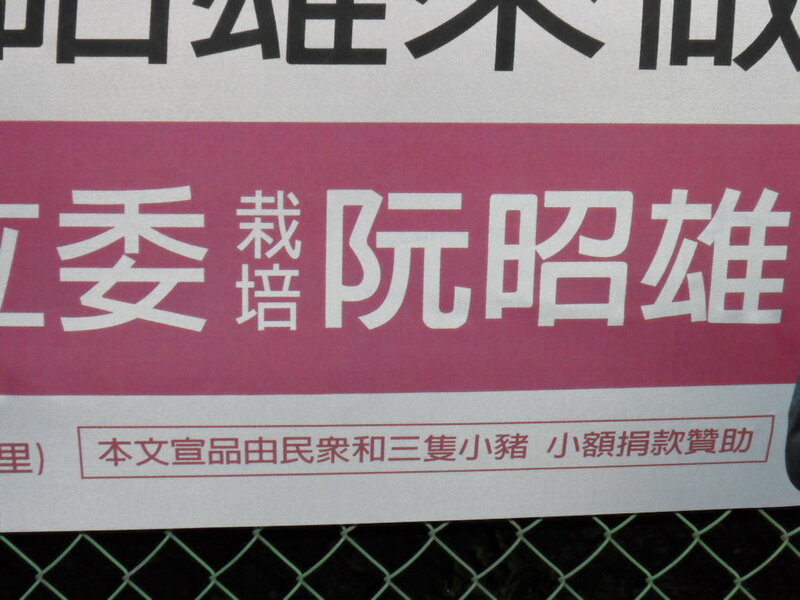 From the KMT’s point of view, if it loses this district, it will probably never win it back. The only way it can win here is to have a local giant, and those don’t grow on trees. But what is really interesting here are the attack ads. Let’s start with the challengers. 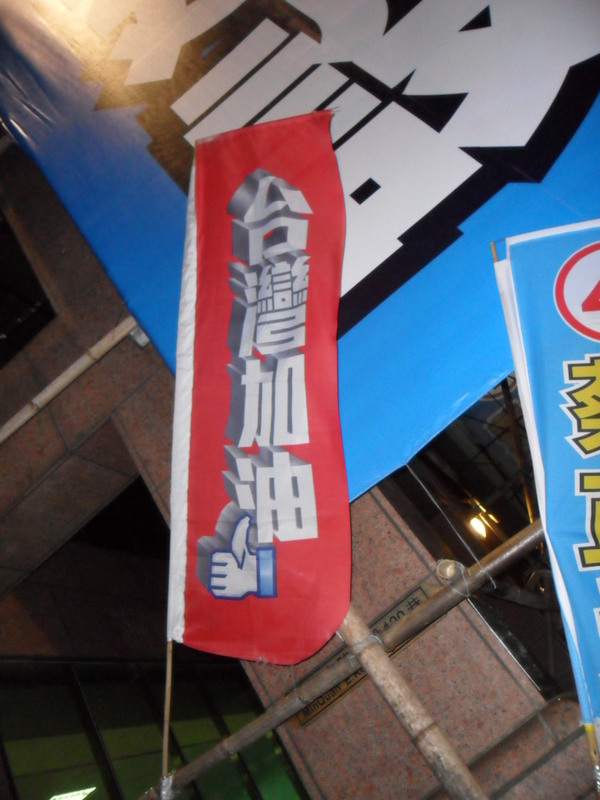 Here, the KMT is accused of not developing the Budai Harbor. Tsai Yi-yu promises that Tsai Ing-wen will definitely expand the harbor. 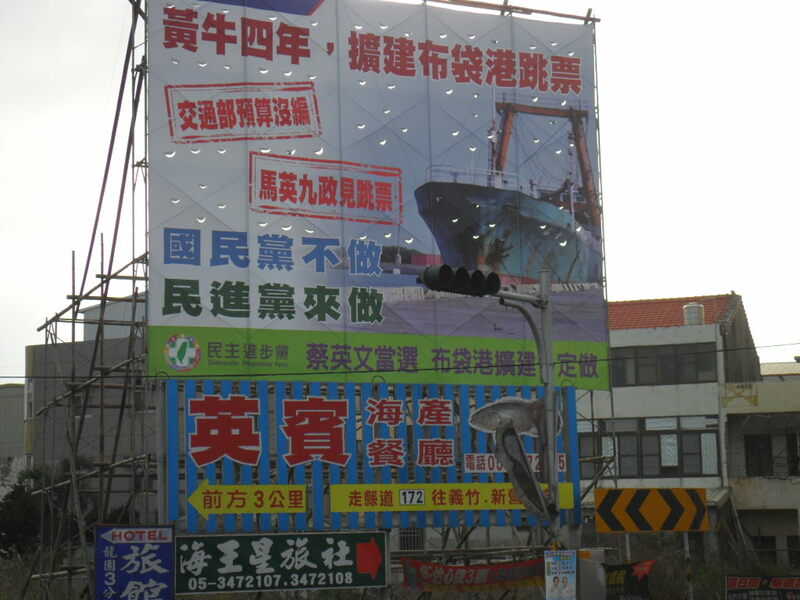 In another ad, Tsai mentioned that this harbor would trade directly with China. (Wow, just what we need: another useless harbor with nothing to export.) So far, pretty tame. The Weng campaign replies, they are lying! We don’t want a family involved in gang shootings and that engages in mudslinging. 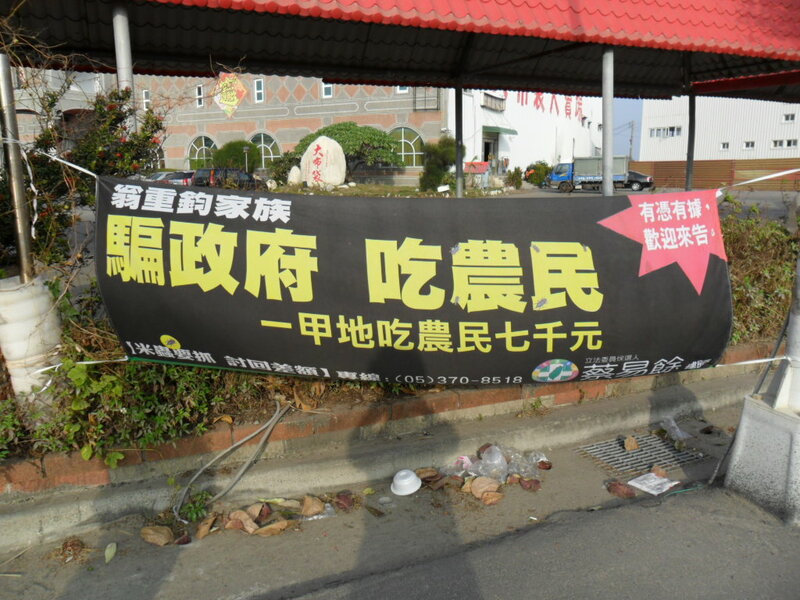 In the top right corner, they say that they have already filed a lawsuit against the untruthful accusations. Finally, the masterpiece. The Weng campaign found extremely unflattering shots of the two Tsais. Look at how terrible Tsai Chi-fang’s teeth look! The picture on the bottom left is of him as a young man at the police station. 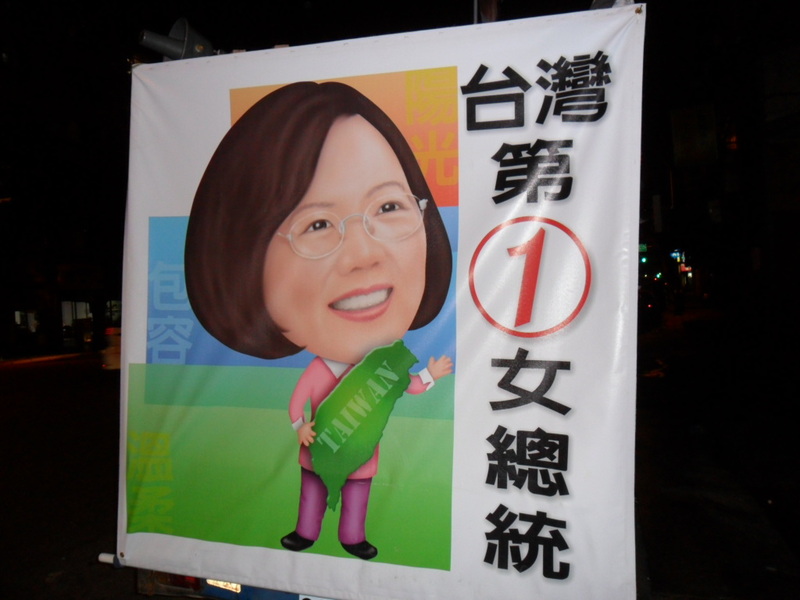 In the mid 1980s, Tsai was involved in a crime gang shooting incident. He is sulking on the right while his father (second right) hands the gun to the police. (Tsai Chi-fang’s father was vice-speaker of the county assembly. 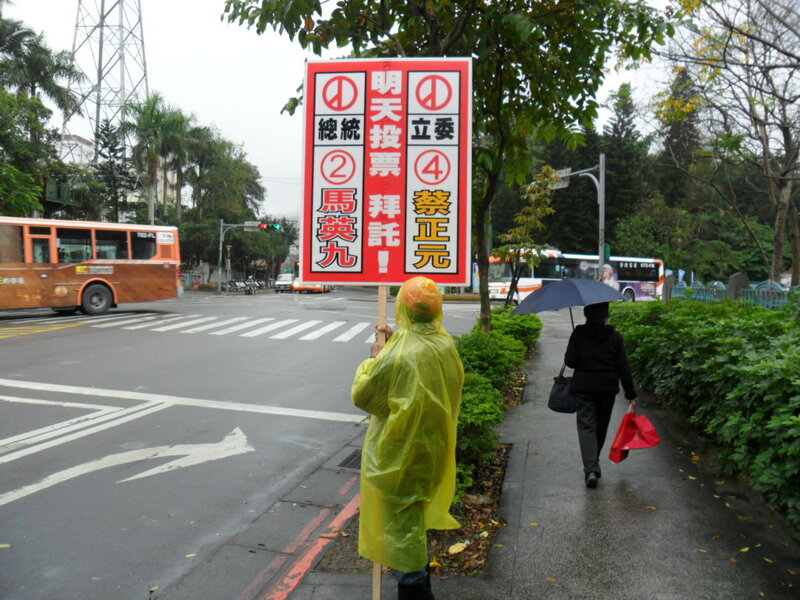 In fact, he was a member of the KMT’s local Huang Faction, and he was supported by another young member of the Huang Faction: Weng Chung-chun!) 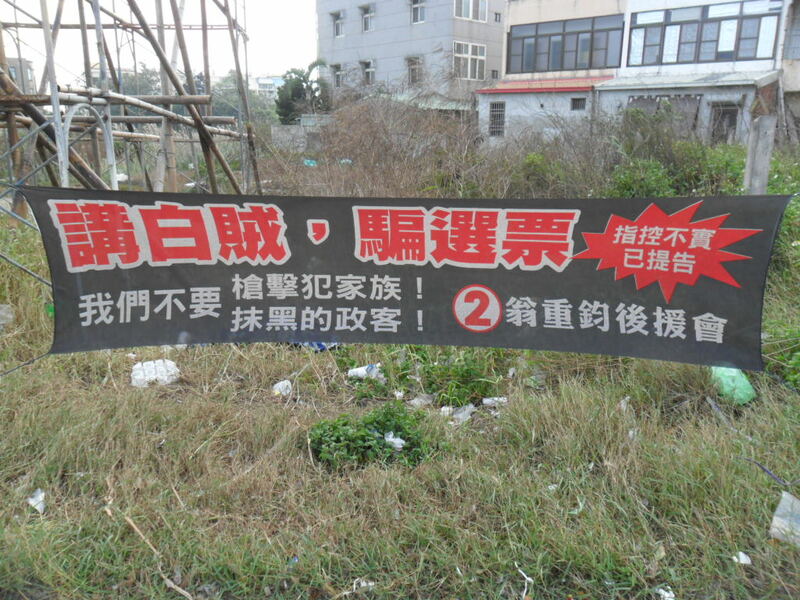 To the right, the ad accuses Tsai Yi-yu of making a lot of money as a lawyer by defending people who dodged their debts. 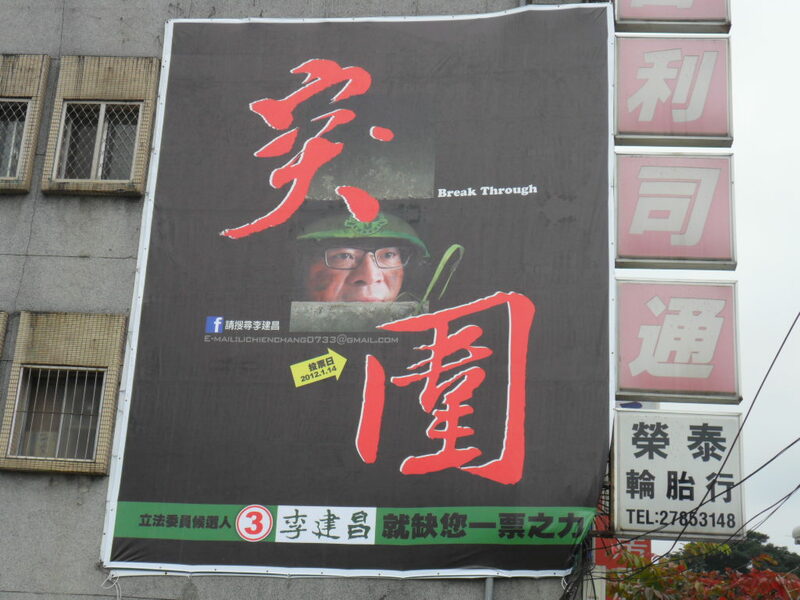 The ad asks, would you feel safe entrusting Chiayi’s future to these kinds of people? You are currently browsing the archives for the 2012 legislative category.